Follow the latest Uncomfortable news, videos, and analysis from ABC News. 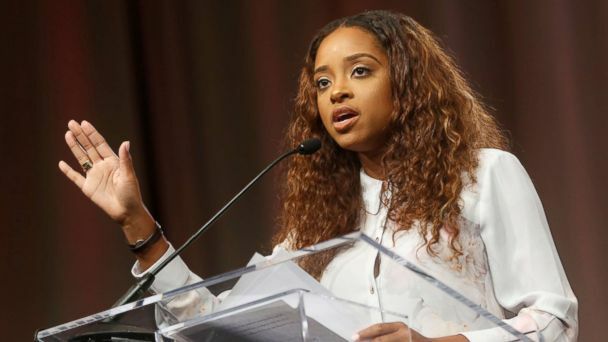 Tamika Mallory appears on a new installment of "Uncomfortable." 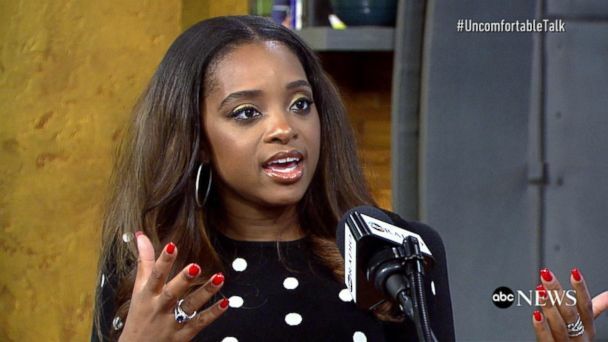 On this installment of the "Uncomfortable" podcast, Tamika Mallory talks about how she continued on the path of social activism her parents had helped to forge. Antonio Lucio appears on a new installment of "Uncomfortable." 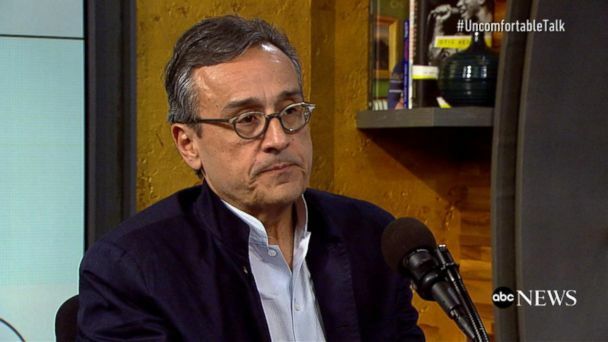 Antonio Lucio, CMO of HP Inc., talks about the action plan behind the increased diversity at his company. 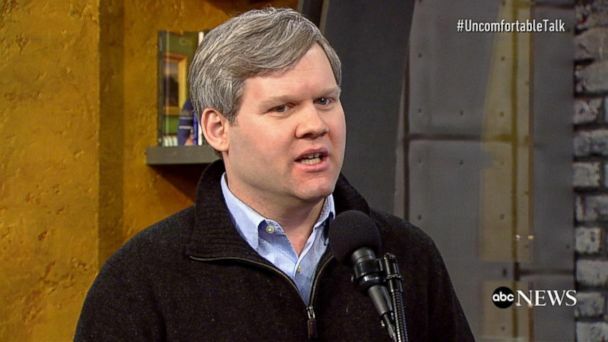 With many evangelical leaders backing President Trump, Collin Hansen of The Gospel Coalition tells on a new installment of 'Uncomfortable' why he worries the church's future is at stake. Collin Hansen appears on a new installment of "Uncomfortable." For the last 17 years, Liany and Dani Villacis have called New York their home. Villacis Sisters: Why can't the country continue to invest in us? 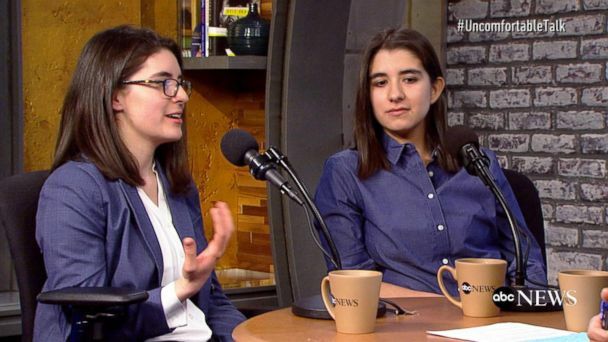 On the "Uncomfortable" podcast, twin sisters talk about how they are fighting to stay in America after their mother and father were suddenly deported. 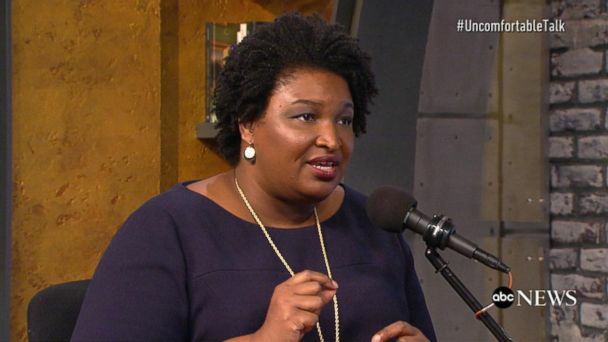 Stacey Abrams is on the precipice of history. 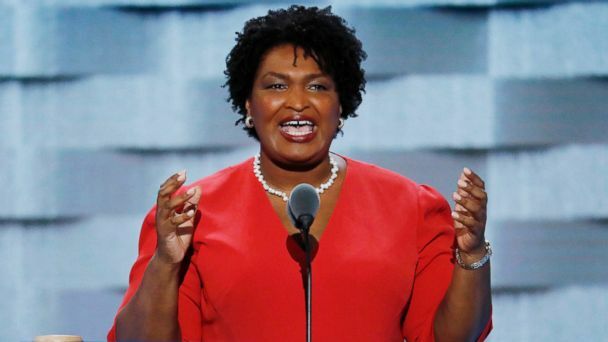 Abrams says she's running as an unapologetic progressive in the South, and she stands to make history if she wins, as the first African-American female governor in the country. Christina Bennett explains why she believes women are disempowered by having the right to choose. 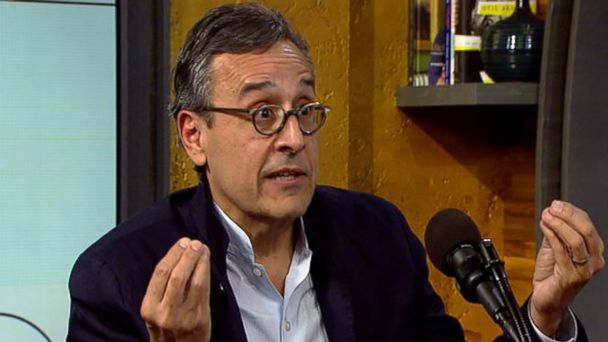 The author, spiritual leader and businessman is wading into the political waters with his latest book, "Home: Where Everyone is Welcome." Todd Carmichael said he is one of the few CEOs in America willing to declare what other executives won't: that while the new tax bill may be good for his business, it's bad for the country. 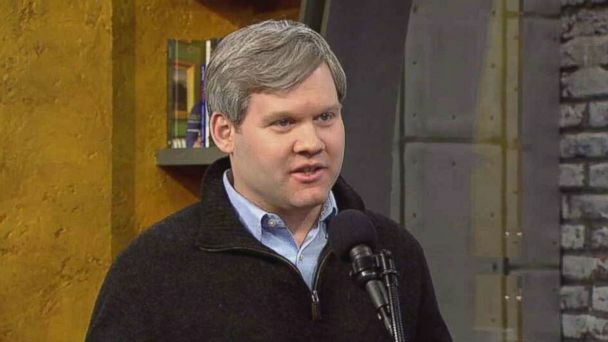 Author Blaine Harden has extensively studied the history of U.S.-North Korea relations. In this episode of "Uncomfortable," he shares with Amna Nawaz why he's more concerned than ever before about the possibility of war. Lena Arkawi said she wakes up every day to photos of dead children on her phone. Lena Arkawi is assisting the people of Syria but knows she can't come to the aid of all who need it. On "Uncomfortable," she talks about why Americans must help those in need around the world. Ebrahim advocates for peace but struggles to find empathy for his own father. The son of a convicted terrorist, Zak Ebrahim rejected his father's teachings and became an advocate for peace. Amna Nawaz digs into what made him question his upbringing and whether or not he'll ever see his father again. For David Litt, the journey to presidential speechwriter began in unlikely ways. David Litt, a former speechwriter for President Obama, talks about landing a White House gig, making fun of Donald Trump, and his new book, "Thanks, Obama." On this episode of "Uncomfortable," ABC News' Amna Nawaz talks to Jihad Turk, president of the Bayan Claremont Islamic Graduate School, about his mission to help Islam find its place in America with imams and other religious leaders trained in the U.S.
Amna Nawaz sits down with Nelson, a conservative African-American attorney who spent years working in the Republican Party before turning her back on it. Rhee, the CEO of of Ashley Stewart, sat down with Amna Nawaz to explain why he — a Korean-American son of immigrants, working in finance — took the helm of a retail company aimed at plus-size African-American women and decided to save it. 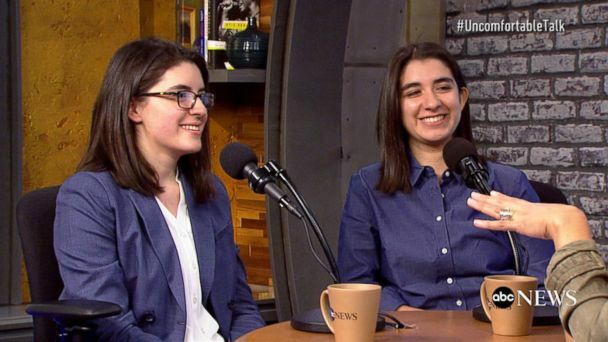 ABC News' Amna Nawaz sits down with Taz Ahmed and Zahra Noorbakhsh to dive into the motivation behind their podcast and how they are defining being Muslim American women on their own terms. Once you’ve met Maysoon Zayid, it is impossible to forget her. ABC News' Amna Nawaz sits down with Maysoon Zayid on this episode of "Uncomfortable" to talk about life with cerebral palsy, discrimination in Hollywood casting calls and learning how to be funny from her Palestinian aunties. Amna Nawaz interviews LZ Granderson on this episode of "Uncomfortable," and Granderson gets candid about living his life as a straight man before he made the decision to come out as gay. Communications professor Kerry O'Grady recounts her case of mistaken identity and how it led to her being the target of online trolling to ABC News' Amna Nawaz on this episode of "Uncomfortable." As ABC News' chief political contributor, Dowd covered the 2016 election. Amna Nawaz and ABC News' Chief Political Analyst Matt Dowd talk about the power of political campaigns in America and the good and bad changes they can bring. ABC News' Amna Nawaz speaks with Heidi Beirich of the Southern Poverty Law Center's Intelligence Project on this episode of "Uncomfortable." Writer - Director, John Ridley sits down with Amna Nawaz in this episode of "Uncomfortable" to talk about the story behind his film about the L.A. riots, "Let It Fall: Los Angeles 1982-1992." The comedian talks to Amna Nawaz about turning the tough issues America is facing into laugh-out-loud jokes as a part of the podcast series "Uncomfortable." “We built a wonderful country that your ancestors could not have [built]." Editor of American Renaissance, Jared Taylor sits down with ABC News' Amna Nawaz on "Uncomfortable" for a blunt discussion of race and racism in America.